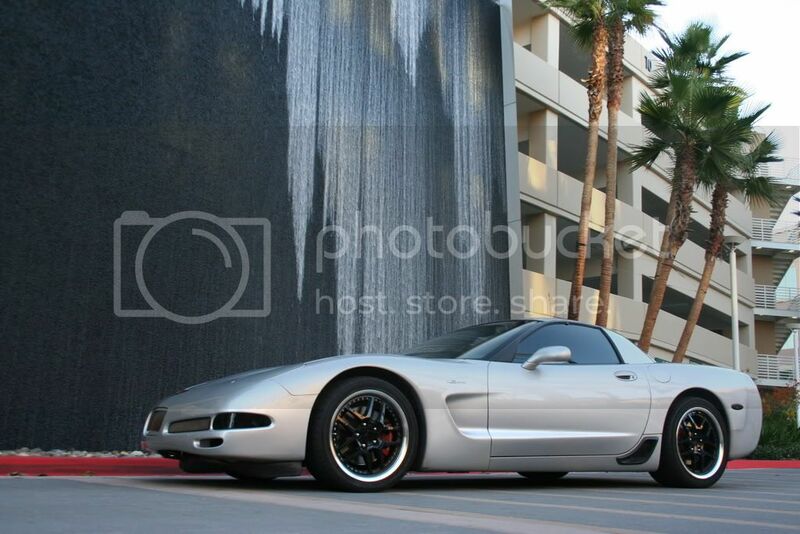 Silver C5 Z06. Forged. D1 Procharger. 600+whp. Loud, Mean, and Fast. 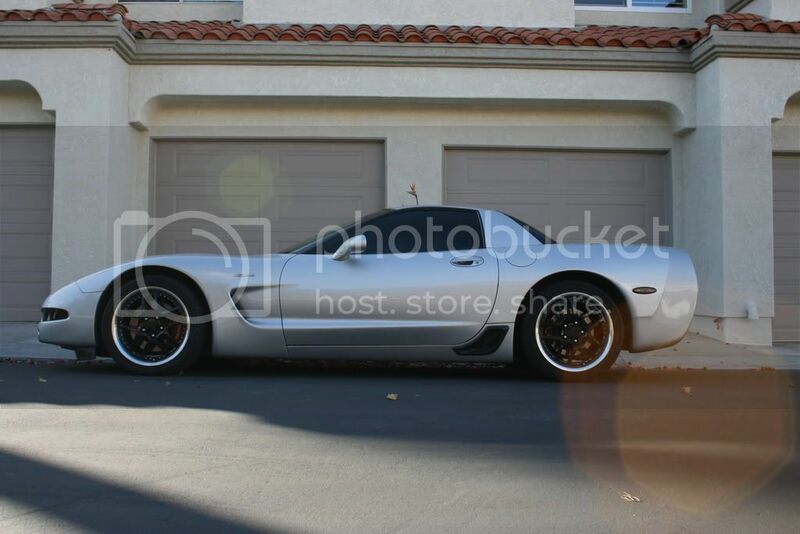 Thinking about selling my C5 in considering upgrading to a C6 Z06. No rush or hurry knowing how bad the market is. Here are the basics, PM or post any question and I'll respond. I had the car for sale a while back. decided to keep it and dropped 10k on a fully forged bottom end. My setup can easily handle 16+psi and 750+whp. 01 C5 Z06 with 43k miles on the car. 3k miles on the motor setup. The entire motor build and tuning was done by Charlie @ RPM motors. Put down 580whp/515tq on the break-in tune at 9psi. and is currently at 610whp/540tq at just under 12 psi. It's tuned very safely on 91 with meth because the car was my only car and DD. All 3k of the miles on the new motor were daily driven and it has run flawlessly. But i now have a truck as my DD so its the weekend toy. Car runs SUPER cool. Cruising and after pulls, coolant is right between 175 and 185. I've driven it in 90 degree stop and go LA traffic and doesnt go above 190. Clevite Rod, Main, and Cam Bearing set. Full blackout kit and sidemarkers blacked out. Dark tint (One step above limo). 18" Black Z06 Motorsports all around. - probably buying some new nitto 555R DR's for the rear soon. Vette Essentials short shift boot. Pioneer Flip out 7" In Dash Head Unit: MP3/DVD/CD . Sony Xplod 800 watt amplifier. Again, in no rush to sell. Just itching for a C6 Z06 possibly. Here are some vids. Break-in tune versus s/c 560whp M3. Granny shifting. anyways, thats my baby. 20 grand invested in mods alone. tons of receipts to prove it. I'll throw in a car cover, partition, bra for the front fascia, and a 5 gallon barrel of methanol (if i don't use it all by the time a buyer comes around) to whoever purchases the vehicle. Last edited by VetteFish; 01-03-2009 at 06:04 PM. 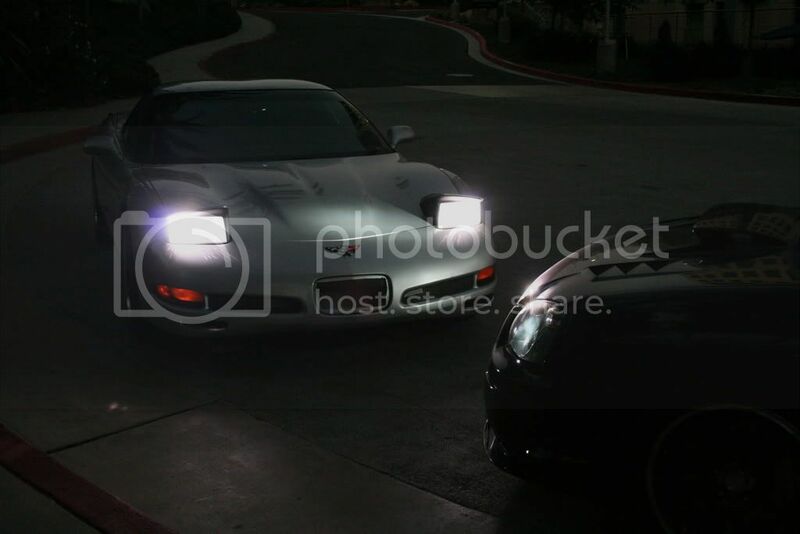 such a sick car..i LOVE corvettes. do you take organs in lieu of money? Need to do it in the light! I am so gay for vettes. Just 532 more sperm donations and I can buy it! good gawd, that thing...man..... z06s are fast stock that thing must be insane. nice car, sorry dont have the money, but if I did. 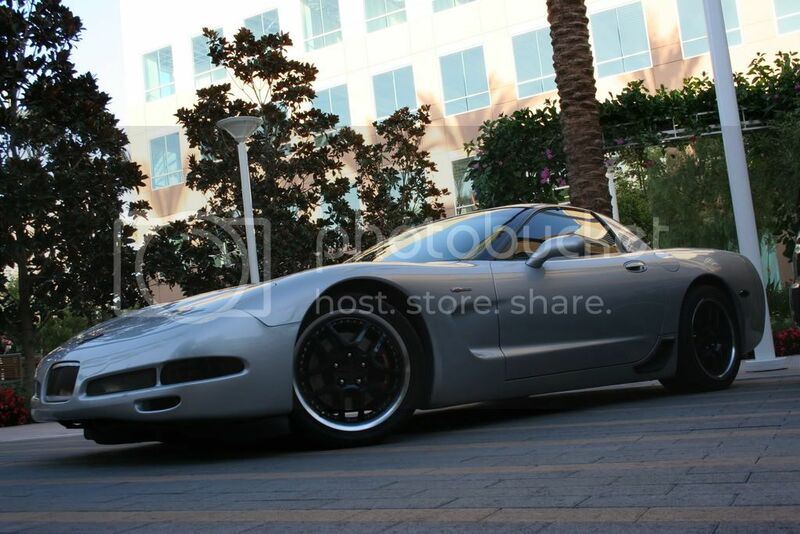 definitely I will have a c5 z06 in the not too distant future. WOW Its kind of sleeperish!!!! Silver on Black is the ****. My s2000 has the same exact color combo! ya guys the car is insane and amazing....take it from a subie gt35r driver to getting in the cockpit of that think is crazy nuts and fun!!!! pretty cool. i wanted a z06 before. pricing looks decent due to the mods spent. i'd put it on ebay as there are some people that became richer from this economy. that license plate vent is in serious need of a dremel!! this car doesnt happen to be in the movie "servin it up 5" does it? and i just received the vanity plate "8UR ENZO"
Last of the hidden headlights ftw. I'd take it over a bugeye C-6 anyday.